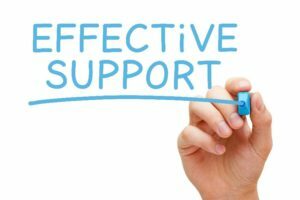 Is Your Support Service Team Part of Your Clinical Team? When patients enter your hospital they use everything they see, smell and hear to make judgments about the quality of services they are receiving. Whether or not you realize it, the support service departments (Food, Environmental Services, Security, Clinical Engineering, Laundry and Linen, and Patient Transport) ARE part of your clinical team. They may not think of themselves in this way but the work they do (and the fashion in which they do it) effect and affect patient satisfaction and delivery of care quite directly. 1. Align their goals. To highlight the importance of their role, align corporate and employee goals. This enables your frontline employees to see how their job supports your mission, the nursing staff and the patient experience. 2. Provide education. Your support services team needs education and empowerment to understand the direct correlation their performance has and make decisions that improve patient satisfaction. In some instances, these teams can benefit tremendously from training on how to better interact with patients. The best way to launch goal alignment and education is to start by asking your department leaders how they are doing in these core essential areas and how they can help you to be the elite world class model of healthcare that everyone strives for. A positive patient experience really does start at the front door! For more information on how Soriant Solutions can help improve your Support Services and positively impact your bottom line, email us at info@sorianthealthcare.com or call 770.777.6633.